It’s no secret that Lehigh Valley has a long and storied history in the early years of the United States of America. All three of our major cities and some of the outlying towns played key roles in the beginning of our country, and they all celebrate accordingly on the 4th of July. So if you wanted to find something a little closer to home this year, this list should help. The city of Allentown, which happens to be celebrating its 250th Anniversary this year, played an integral role in preserving one of the most iconic symbols of American independence. The Liberty Bell was stored in the basement of the Old Zion Reformed Church during the war so the British wouldn’t be able to melt it down to make cannons. The basement of the church is now home to the Liberty Bell Museum, where you can get your fair share of the region&apos;s history. Allentown will be holding a celebration on the 4th at J. Birney Crum Stadium, with the entertainment beginning at 5:30 p.m. and the fireworks starting at 9:20, plus fireworks will also be shot off from Dorney Park beginning at 9:30. As far as Bethlehem is concerned, the Brethren House (now part of Moravian College) was used as a hospital for the wounded of battles at Morristown, New Jersey, and Brandywine Creek, and the Sun Inn welcomed George & Martha Washington and General Marquis de Lafayette for short periods of time. 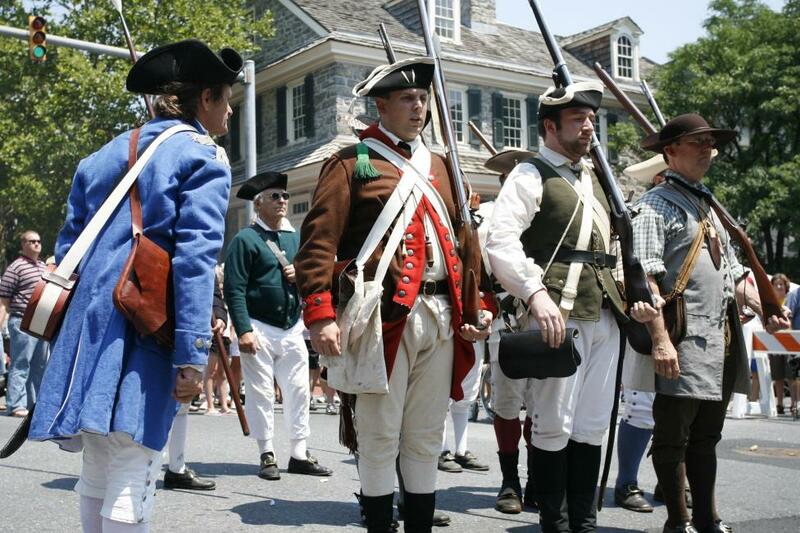 The fireworks and celebration in Bethlehem takes place on the 4th on Sand Island beginning at 9 p.m.
Easton was an important military center during the war, located on the banks of both the Lehigh and Delaware Rivers. It was also one of the first three places the Declaration of Independence was read publicly (along with Philadelphia & Trenton). Easton commemorates this date in July each year on Heritage Day, with colonial re-enactors, period music and fireworks, of course. This year’s celebration falls on Sunday, July 8, and begins at noon with the reading of the Declaration of Independence. Macungie and Nazareth will also be holding celebrations during the day on the 4th with parades and entertainment at various times. For the full list of celebrations happening in the area, take a look at Morning Call’s list: Star spangled July 4th fireworks and celebrations. Whatever you and your family end up doing tomorrow to celebrate America’s birthday, we at Discover Lehigh Valley hope you have a safe and fun holiday!